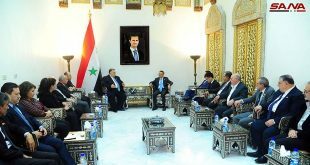 Damascus, SANA – Speaker of the People’s Assembly Hammoudeh Sabbagh affirmed Syria’s keenness to strengthen Syrian-Czech relations in all fields, especially parliamentary ones. 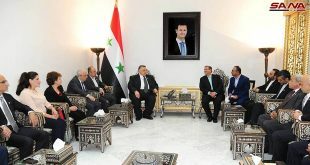 Sabbagh’s remarks came during a meeting with the Czech Ambassador in Damascus Eva Filipi on Tuesday. 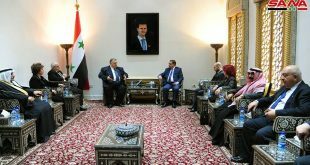 “We are making efforts to help Syria in its crisis and we have conveyed some facts about what it is going in it to the European Union and we will continue to make efforts in this regard,” the Ambassador said. 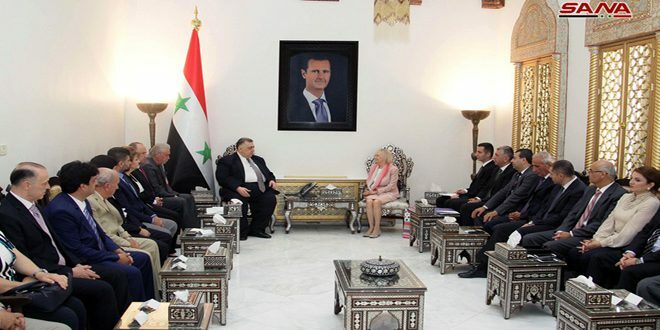 She added that her country, through the bilateral Czech-Syrian program, provides humanitarian aid and medical equipment to the Syrians affected by terrorism, stressing that the Czech people stand by the Syrian people and they are more aware about the plot against Syria.